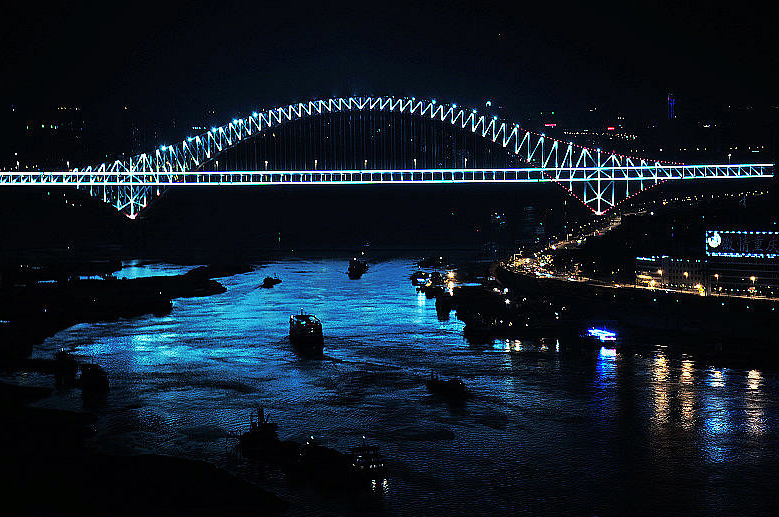 On March 19, 2012 the Sydney Harbour Bridge turned 80 years old, and has become a world icon that signifies Sydney. 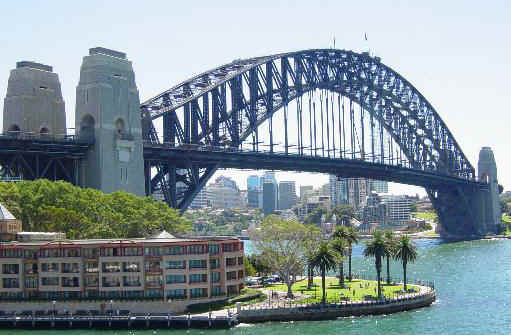 Its arch spans 503 metres, the largest steel arch in the world, but it is not the longest. Here is the longest. 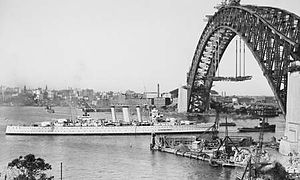 The height of the Sydney Harbour Bridge arch soars 134 metres above sea level and its clearance for shipping is 43 metres. The arch weighs in at 39,000 tonnes, and all up the steel works weigh some 59,000 tonnes. The successful tender came from Dorman Long and Company from UK, with a contract price of 4,217,721 Pounds, 11 Shillings and 10 Pence, I wonder what that 11 Shillings and 10 Pence bought! The general design was credited to Doctor J J G Bradfield and the New South Wales Department of Public Works. 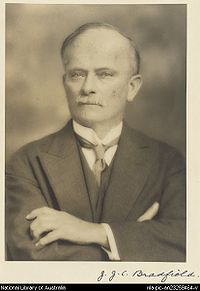 Dr J J G Bradfield. In its construction stage the bridge had two half arches, each half emanating from the north and south shores. The Two halves of the arch. 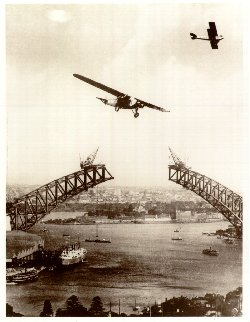 uncompleted Sydney Harbour Bridge in 1930. Sydney siders awoke on the morning of August 20, 1930 to find the two halves had been joined as one during the previous night at 10 PM. I am sure that Dr Bradfield must have breathed a huge sigh of relief when these two halves actually came together, they quite easily might have been offset, and caused chaos trying to bring them together. On January 21 in 1932, the very last of 6 million rivets was driven home to complete this mighty work. 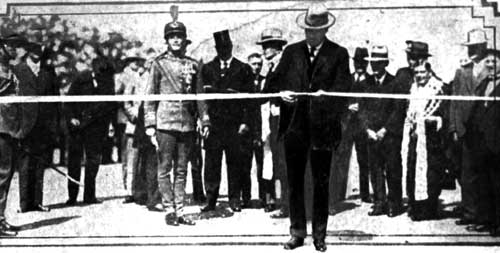 The Honourable John T Lang Premier of New South Wales was poised to officially open this engineering wonder on Saturday March 19, 1932, before a crowd estimated at a million. Captain de Groot about to prematurely cut the ribbon. 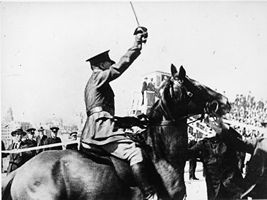 Suddenly Captain Francis de Groot from the New Guard galloped up on his horse with sword drawn and slashed the ribbon with his sword, he was arrested, the ribbon rejoined and Jack Lang at last cut the ribbon and declared the Sydney Harbour Bridge open. Premier Jack Lang cuts the ribbon to finally open the Sydney Harbour bridge. The roadway carries 8 lanes of traffic, 2 rail lines, a cycle path plus a pedestrian walk. This Australian Icon continues to link both South and North Sydney across Sydney Harbour.